Rhino took up bodybuilding at 17 years old after his champion bodybuilding cousin inspired him to shape up his body. Within six months of hard training he had won his first competition which was an under 18's bodybuilding show. After two years he had won the Junior British Championship and went on to win most of the British weightlifting championships including: London Men's Heavyweight, Northern Regional Championship and Junior London. Rhino stunned the Gladiators audiences with his display of robotic dancing and body popping moves. He especially excels in the power events such as Gauntlet, Whiplash and Suspension Bridge which he is undefeated in. Rhino is well known for his fantastic personality, he always makes time for each of his army of fans. 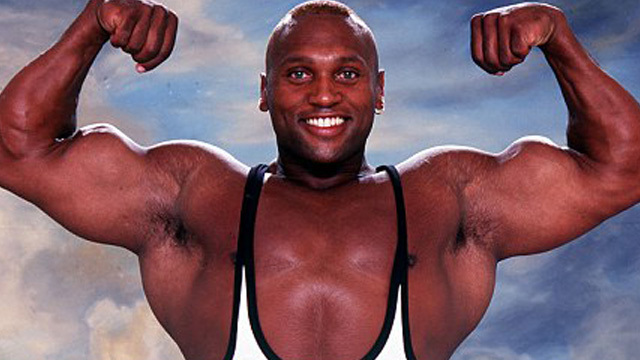 Beefy, as he is known to his colleagues, had a serious injury during the 1995 International Gladiators. Rhino tore a ligament in his right leg and was laid up for 12 weeks with his leg in plaster, after falling badly from the Pyramid with Russian contender Yuri. Rhino, who has three children Chloe, Brodie and Stirling, was part of the UK International team that competed in the Springbok Challenge 2000. He is now a keen boxer and is also involved in the music industry. Rhino regularly appears on TV, most recently in EastEnders, The Bill and Robin Hood, to name just a few. In 2016, Rhino became the voice of Officer McHorn; a rhinoceros police officer in Walt Disney Animation Studios' Zootropolis (Zootopia). Rhino lives in Los Angeles with his wife Simone.